If you want a bath that's a little more stylish than the norm, but don't quite have the room for a large freestanding tub, then a corner bath is a great idea. 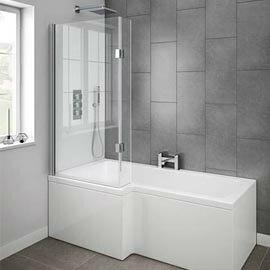 Available in numerous modern and traditional designs, these items are fantastic for smaller bathroom areas where space will be a priority as they don't take up too much room, making them a practical alternative to more conventionally shaped baths. What is a corner bath? 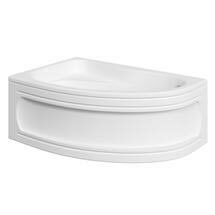 Usually made using a tough acrylic, corner baths are designed to help you save space in the bathroom without sacrificing on looks. They are available in various styles and sizes to suit different requirements, with both single and double ended options to choose from. 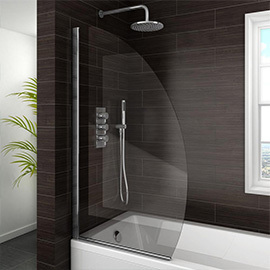 There are numerous other advantages to corner baths besides saving space, as they are also very cost effective alternatives to other types of bathtub. 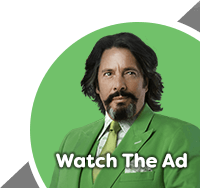 They are also surprisingly roomy despite their compact size, which means you can enjoy the sort of relaxing, luxurious soak you'd expect from much larger items. Which taps will I need? 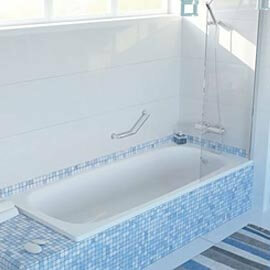 Deck mounted taps: These taps are directly mounted to the bathtub itself. The advantage of using this method of tap installation is that they are very practical and will avoid you having to drill into any tiles in the process. Wall mounted taps: Ideal for double ended baths (so no one has to have their back pressed against cold taps! 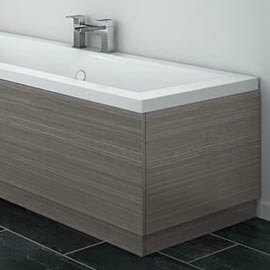 ), these items are also a good solution if there simply isn't enough space around the edge of the bath to mount a set of taps to the deck. Both wall and deck mounted taps are available in various styles, allowing you to select just the right choice to give your corner bath the perfect finishing touch. 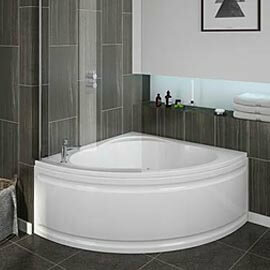 As a highly important aspect of any bathtub, the waste is something you need to pay attention to when making your choice. Depending on the general style of your bath, there are plenty of varieties out there including modern pop up and click clack wastes for a minimalist look; as well as timeless plug and chain wastes for baths with a period influence. 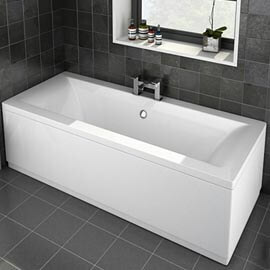 When choosing your new bath from our site, you'll notice an 'essential items' pop up appear alongside most of them which will recommend wastes. Make sure you know the specific dimensions prior to making your purchase though, as some baths may not accommodate certain kinds of waste. 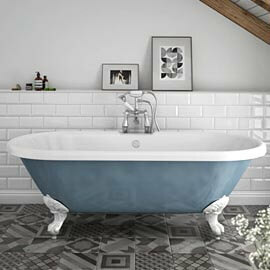 While modern corner baths don't tend to feature feet, some traditional options are actually raised on classic ball and claw style feet which gives them an authentic period look which replicates that found on traditional freestanding bathtubs.